NASHVILLE, TN — Tina Hodges, chief executive and chief experience officer for Advance Financial, has been selected as one of the winners in the prestigious CEO World Awards® in the Female CEO of the Year category. Hodges is the gold winner for large companies (500 – 2,499 employees). 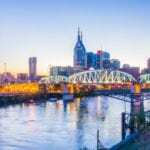 Advance Financial, founded in 1996, is a family owned and operated financial center based in Nashville, Tenn. The company currently operates more than 70 locations throughout Tennessee and employs more than 700 local representatives. The company provides wide variety of financial services – including wire transfer, bill payment, unlimited free money orders and FLEX loans. Advance Financial recently earned an A+ rating from the Better Business Bureau and was named to the Inc. 5000 list of the fastest-growing private companies in the country for the fifth year in a row. For more information visit www.af247.com.